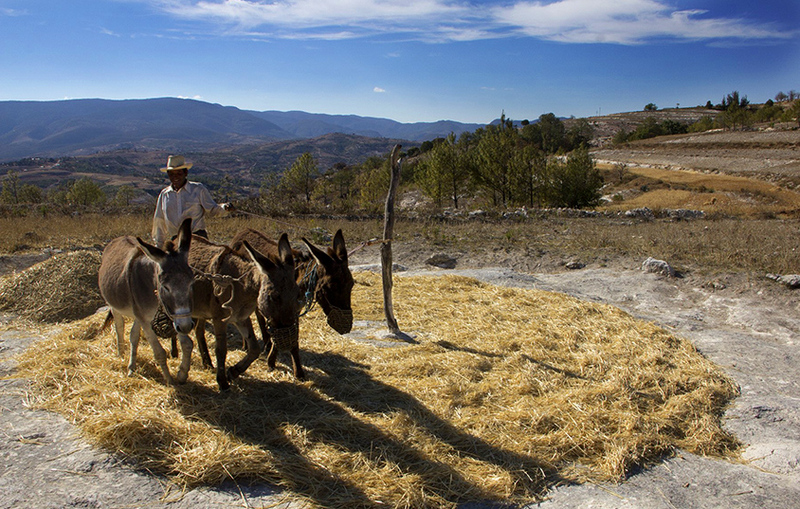 The rural indigenous farmers of the Oaxaca region of Mexico have used traditional growing techniques known as ‘la milpa’ to reduce land erosion and soil degradation, utilising tribal knowledge to sustain a land and a community in Mexico through encouraging the use of traditional growing methods. Studies show that climate change is having a devastating impact on small communities of farmers. Erosion, desertification and flooding are having a significant effect on the land. 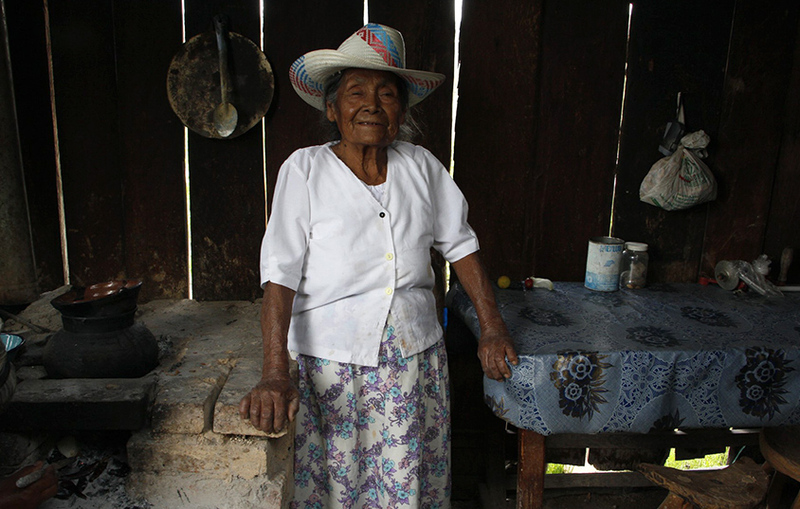 The region of Oaxaca, home to the Mixteca people is one of the poorest in Mexico and is facing extreme hardship. This is due to both climate change and chemical-based planting techniques. In the 1980s, fields of single variety crops were grown. This monoculture impacted on the soil, depleting nutrients and forcing poor farmers to buy chemicals to remedy this, instead of using traditional plants to reinvigorate the land with essential minerals and to keep away pests. When the North American Free Trade Agreement (NAFTA) came in, and corn subsidies in the USA began to have an impact, many poor farmers in Mexico were left unable to afford the expensive corn and accompanying chemicals, leading to poor soil productivity. 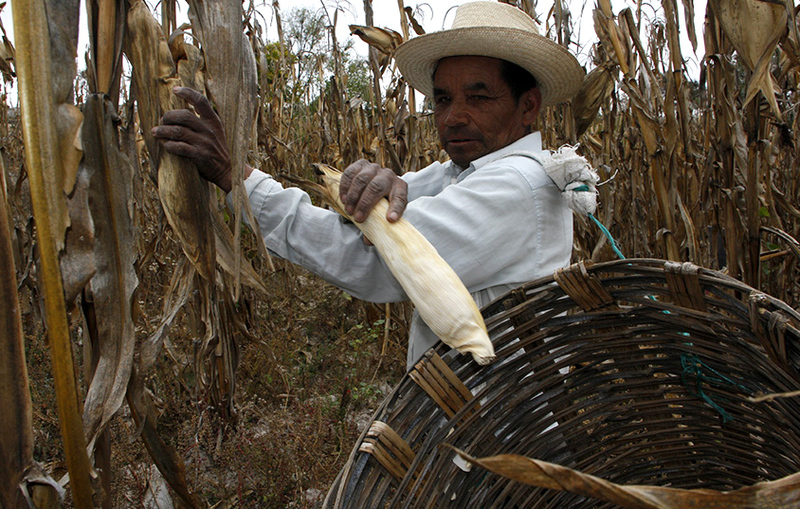 The Mixteca people are finding that their harvests are only lasting for eight months. This means that they are having to find additional work to raise the money to feed themselves and their families. Many Mixtecans are being forced to leave the area in search of a better way of life – one that can sustain them all year round. To ensure that there is enough to eat and that the land is being used to its best ability, Jesús León Santos and his organisation Center for Integral Campesino Development of the Mixteca (Cedicam) are reviving a traditional planting technique from the pre-Hispanic era known as la milpa to counter the effects of long term soil misuse and poor land management. La milpa is a response to the food crisis that not just the Mixteca people are facing, but the whole world. With the food industry heavily reliant upon the petroleum industry, it is causing its own demise, with the resulting greenhouse gases negatively impacting on food production. La milpa uses a variety of crops in one planting, grown together to ensure that each vegetable, medicinal herb and shrub enhances the growth and development of others. 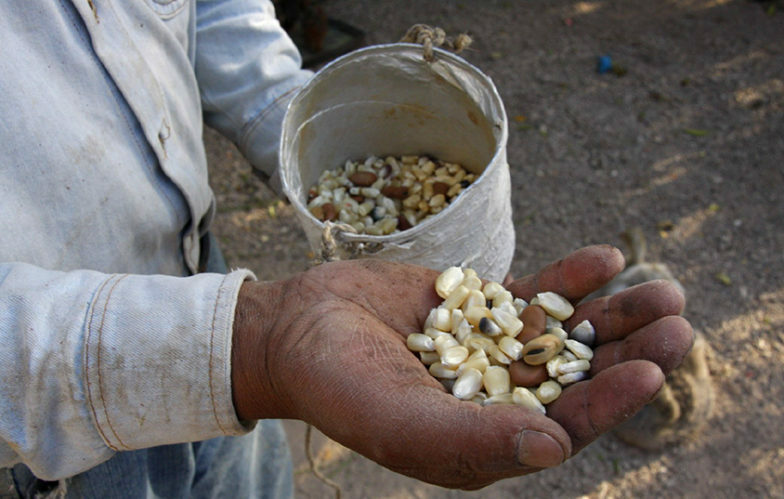 Incorporating seeds that do well in the local soil, the Mixteca farmers plant corn, beans and squash. The beans fix nitrogen back into the soil, the corn acts as a tall frame for the climbing bean and the squash contributes shade and also an allelopathic substance which inhibits the growth of other plants nearby to keep down the influx of weeds. 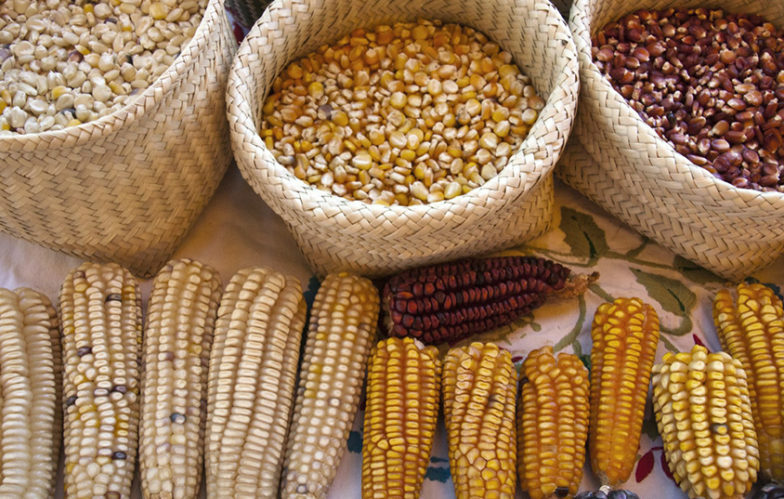 The mutually beneficial plants of the milpa have been proven to boost growth of the plants, with one study in the state of Tabasco, Mexico demonstrating 50% higher corn yields when grown in tandem with other species as part of la milpa. Jesús León Santos said: ‘We’ve always said that the milpa is like a forest. In a forest there is not only one type of tree, but rather many different plants that complement one another. The milpa is something so productive and efficient that we have to write and talk about it for the benefit of our own campesino people of the Mixteca, and also so that a world experiencing a food crisis can learn from this ingenious agricultural system’. Cedicam are working to support the small farmers in the region with a variety of other techniques to improve their land and ensure self-sufficiency. These include reforestation, promoting sustainable agriculture techniques and community saving groups to help farmers to pay for their own basic needs. To raise money, Cedicam have produced a book of recipes which use crops grown as part of la milpa. Onaway lent its support to enable the publishing of the book. Proceeds from the sale of the book are being directed towards Cedicam. With this money, Cedicam can continue their tireless work with the Mixteca people to improve local skills, environmental conservation and sustainable food production techniques in Oaxaca and beyond. Cedicam works on the development of local skills, sustainable food production, environmental conservation and the building of mutual respect between men and women.